'I knew that Clea would share everything with me, withholding nothing - not even the look of complicity which women reserve only for their mirrors.' 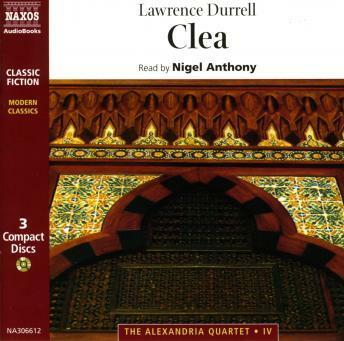 In Clea, the concluding part of The Alexandria Quartet, Darley returns to Alexandria now caught by war-fever. The conflagration has its effect on his circle - on Nessim and Justine, Balthazar and Clea, Mountolive and Pombal - a clarity of purpose emerges as the story moves towards its cadence.